Twenty-Eleven launched a sweet project that is particularly personal for me. Beginning January 1, 2011, a total of 365 sugar cookie & cupcake bakers/decorators and bloggers from across Canada and the United States will take turns doing a guest post at Frosting for the Cause. By signing onto this project every guest baker/blogger has committed to not only donating a batch of their cookies or cupcakes to their local Women’s Hospice but they have also committed to making a personal $25.00 donation to either the Canadian or American Cancer Society to be directed to research projects that are working diligently to find cures specifically for cancers that affect only women. The ambitious project is spearheaded by Paula Bourque of Vanilla Bean Baker (who also happens to be my aunt!). It’s an incredible honour to help kick off this noble project. My rather personal post is featured today and in it I share one way I've been touched by cancer, plus a cupcake tutorial you won't want to miss. Frosting for the Cause is an absolutely genius idea to use our blogging voices and baking talents to raise funds for cancer awareness and cures. If you haven’t yet signed up, I hope you now do so without delay. Head here to read my guest post on Frosting for the Cause. What a wonderful project, and a meaningful way to start the new year. Looks like a fun project, I'm heading over to check it out. I nominated you for the Canadian Weblog, via Simple Bites suggestion. It's such a wonderful project, Aimee! 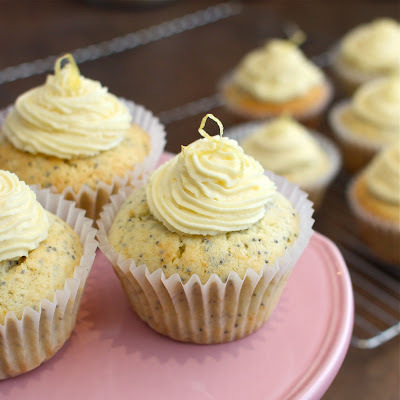 And Happy New Year :) We're a big fan of yours and the Vanilla Bean Baker's blog over at Redpath. Aimee, I remember mentioning this project to you at a family gathering and I barely had the words out of my mouth when you said *sign me up* even before the blog was up and running. When it did launch, true to your word, you were the first one to join in. I sincerely appreciate your participation and your wonderful post here today telling your readers about it. Thank you so very much for everything you have done. Together we are ♥baking♥ a difference!